Auto Cargo Mat, by Sure Fit, is a practical, stylish waterproof auto mat featuring a waterproof suede design to provide your vehicle with lasting upholstery protection. Laminated backing and bound seaming prevent leaks, while all-over 4-inch box quilting and lofty 5 oz. polyester fill add cushiony comfort. 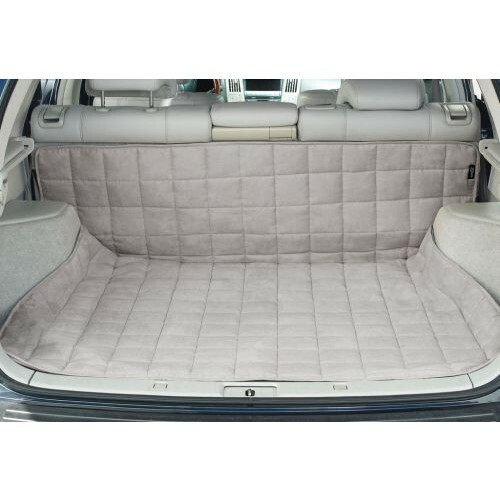 Auto Cargo Mat features 2-inch flaps on each side with 2-inch fasteners to accommodate wheel wells and seat backs. 100% polyester with 100% polyester fill and 100% polypropylene backing. Practical, Stylish Waterproof Auto Mat. 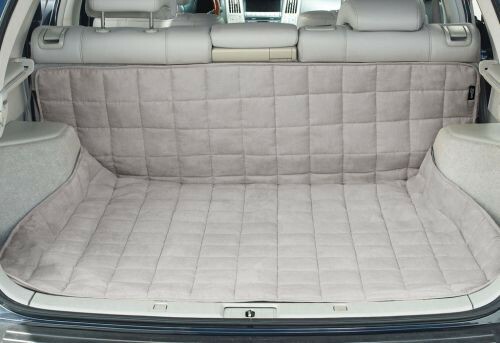 Waterproof Suede Protects Vehicle Upholstery. 4-Inch Box Quilting and 5 oz. Polyester Fill Add Cushiony Comfort. Cargo Mat Has 2-Inch Flaps on Each Side with 2-Inch Fasteners to Accommodate Wheel Wells and Seat Backs. 50 Inches x 58 Inches; or 2,900 square inches.